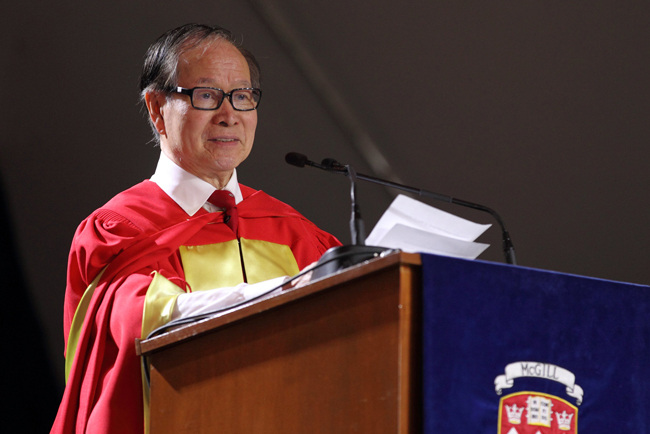 Watch the Honorary Doctorate addresses from this year's Convocation ceremonies. Updated daily. 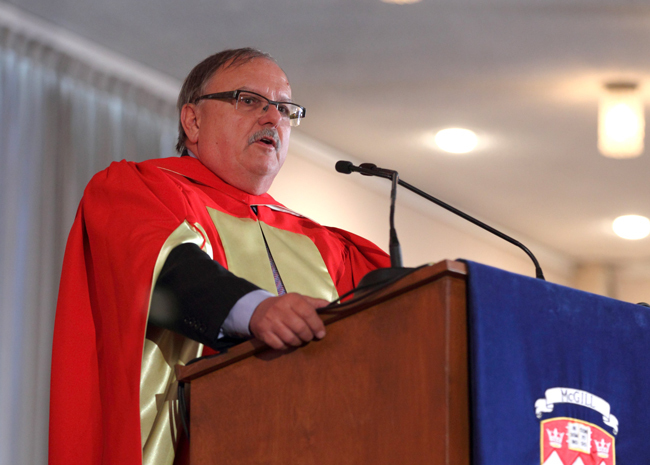 Dr. Jozef Vercruysse has made significant advances in the fields of animal health and tropical medicine over the course of his 40-year research career. As a researcher, he has defined ways of identifying drug-resistant parasites. As an advisor, he has shared his expertise on parasite control to governments, the United Nations Food and Agriculture Organization and the World Health Organization. Vercruysse is a professor in the Department of Virology, Parasitology & Immunology at Ghent University in Belgium. 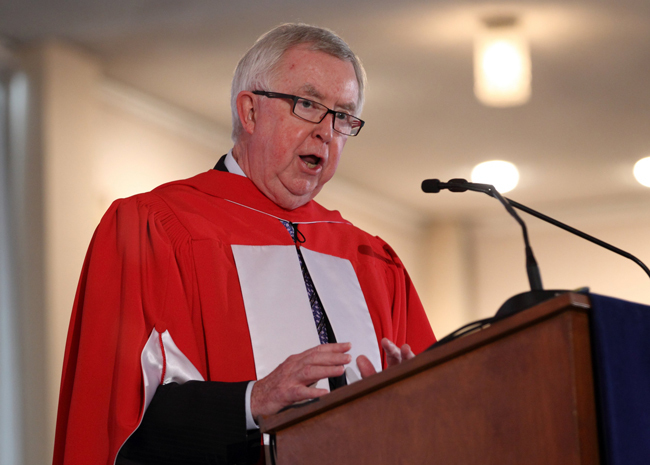 The Right Honourable Joe Clark was Canada’s sixteenth Prime Minister and remains active in international relations, with a focus on promoting human rights and the democratic process. He is Professor of Practice for Public-Private Sector Partnerships at McGill’s Institute of Study for International Development and an advisor to the Faculty of Agricultural and Environmental Sciences on matters related to agriculture and food security in Africa. 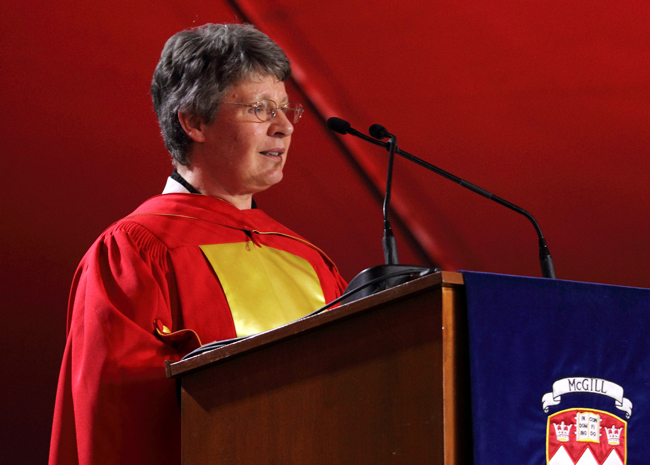 Dame Jocelyn Bell Burnell is a tireless advocate for increasing the number of women working in science. Beginning with her graduate studies at Cambridge in the 1960s, her own research has made groundbreaking discoveries regarding the deep-space origins of radio pulsar signals. In 2014, she became the first woman to hold the office of President of the Royal Society of Edinburgh. 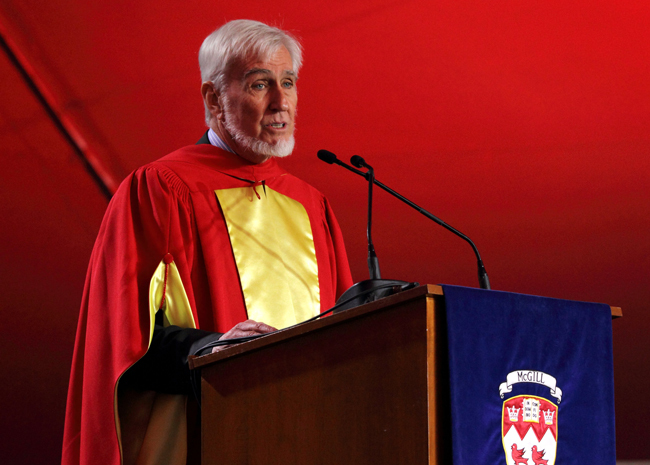 John O’Keefe is the co-winner of the 2014 Nobel Prize in Medicine, for his discovery of the hippocampus’s “place cell,” which helps the brain orient itself in space. 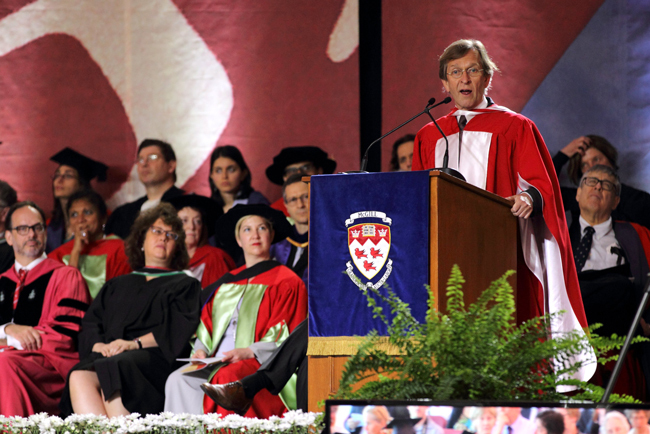 O’Keefe earned both his Master’s and Ph.D. from McGill University. 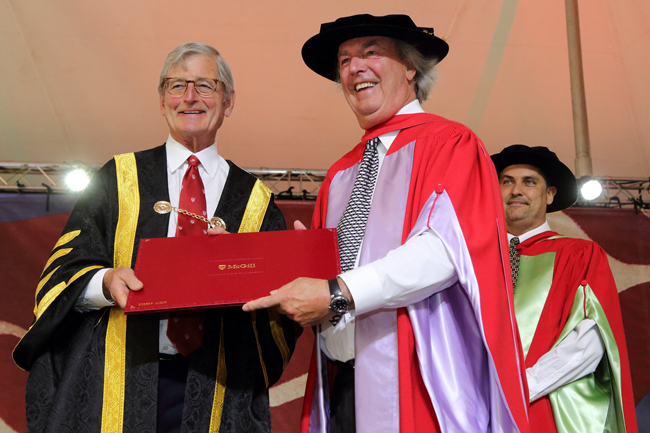 Since 1967, he has worked at University College London, where he is a professor in the Sainsbury Wellcome Centre for Neural Circuits and Behaviour and the Research Department of Cell and Developmental Biology. Daniel Kahneman received the 2002 Nobel Prize in Economics and is the bestselling author of Thinking, Fast and Slow. 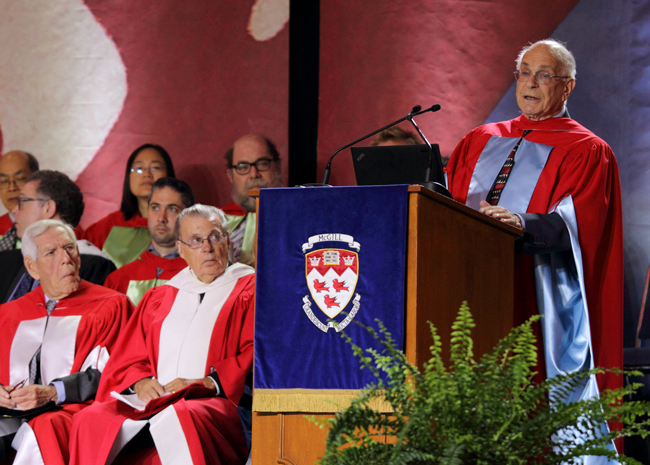 Considered the father of behavioural economics, Kahneman is an expert on both the economic decision-making process and hedonic psychology—the science of happiness. He is Professor Emeritus of psychology and public affairs at Princeton University’s Woodrow Wilson School. Lorna Crozier is a Governor General’s Award-winning poet. Her work, which often explores language and memory, has been translated into many languages. She has taught creative writing at the Banff School of Fine Arts and was a professor in the University of Victoria’s Department of Writing for 20 years. 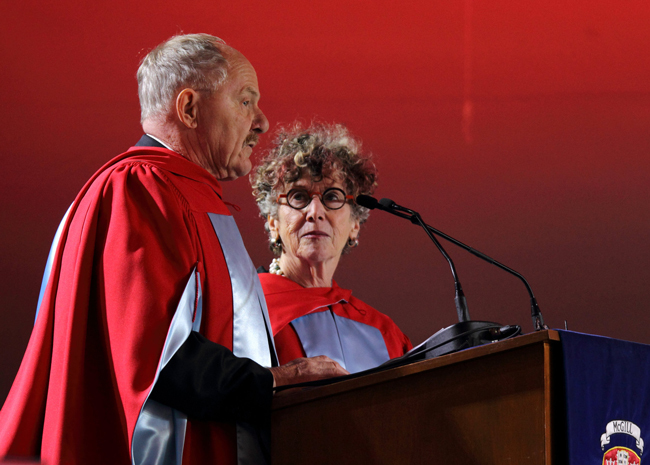 Crozier is a Fellow of the Royal Society of Canada, an Officer of the Order of Canada and a lifetime member of the League of Canadian Poets. Patrick Lane has won the Dorothy Livesay Poetry Prize and the Governor General’s Award, among other honours, for his meditations on nature, violence, human frailties and love. A native of British Columbia, he has been a writer-in-residence at Concordia University, the University of Toronto and the University of Victoria, where he is an adjunct professor. Lane has published 25 volumes of poetry, as well as fiction and memoirs. L. Jacques Ménard is the Chairman of BMO Nesbitt Burns and President of BMO Financial Group, Québec, and a philanthropist and community leader who is deeply committed to increasing education opportunities for all Quebecers. As the Chair of the board of the Youth Fusion organization, he has worked tirelessly to lower the high-school dropout rate. 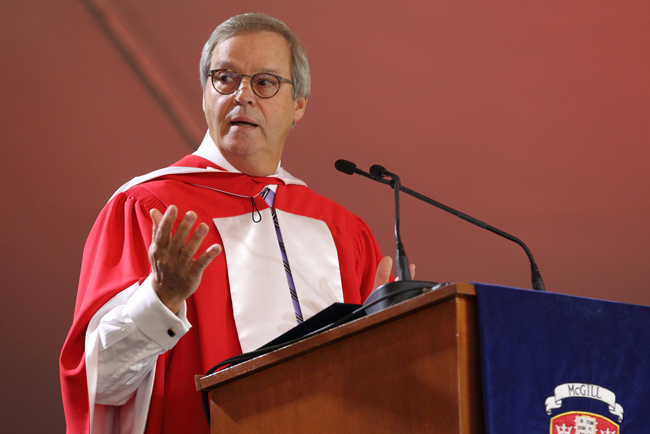 Ménard served as the Chancellor of Concordia University from 2011 to 2015. Dr. Nubia Muñoz is an influential proponent for the health and well-being of women living in the world’s poorest countries. She was the first cancer researcher to show that HPV infection is the primary cause of cervical cancer, a breakthrough that led to the development of an HPV vaccination and new screening technologies. Muñoz is former Chief of the Unit of Field and Intervention Studies at the International Agency for Research on Cancer in Lyon, France. Dr. Harold Charles Slavkin is one of the world’s leading researchers on the genetics of craniofacial, oral and dental development. He is a longtime advocate for increased access to health care for underserved populations, particularly vulnerable children and elderly adults. 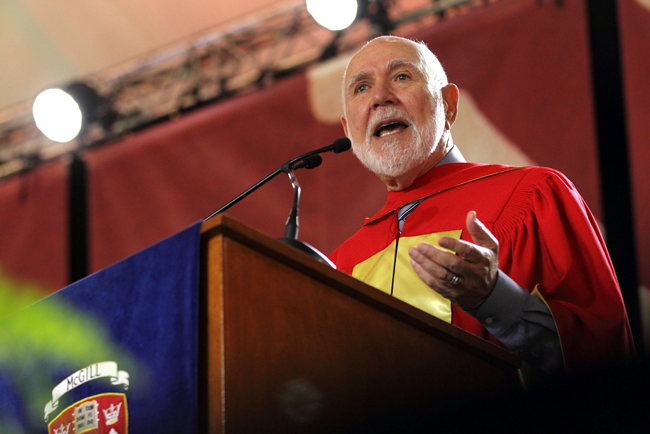 Slavkin is a professor in the University of Southern California’s Ostrow School of Dentistry, and the Founding Director of the USC Center for Craniofacial Molecular Biology. Martti Koskenniemi is a professor of International Law at the University of Helsinki and the Director of the Erik Castrén Institute of International Law and Human Rights. In his books, including From Apology to Utopia and The Gentle Civilizer of Nations, he has served as both a historian and critic of international law practice, inspiring students and scholars to challenge assumptions widely held through the past century. N. R. Narayana Murthy has been called “the Father of the Indian IT sector” for his role in co-founding Infosys Ltd. in the early 1980s. Murthy is a strong believer in the responsible distribution of wealth, and Infosys was one of the first Indian companies to offer stock options to its employees. 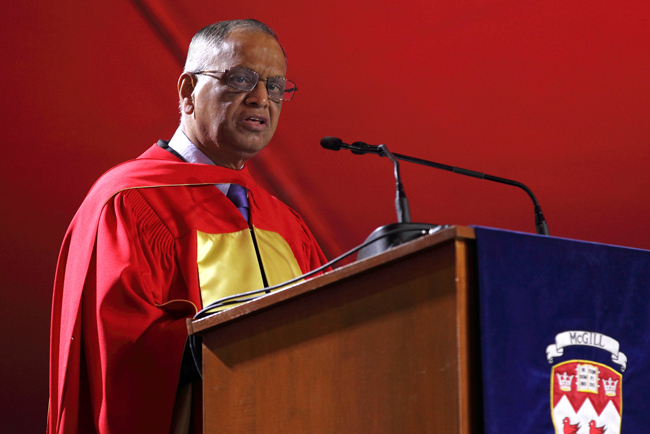 In 1996, Murthy founded the Infosys Foundation, whose projects include a scholarship program that has helped thousands of underprivileged children pursue their education. Robert Godin began his career working in his aunt’s Montreal guitar repair shop. The teenage Beatles fan began experimenting with customized guitar modifications, and soon his innovations attracted nationwide interest. In 1972, demand for his work was so great that Godin repurposed an old window-manufacturing factory. That Baie d’Urfé-based business, Godin Guitars, now sells 200,000 hand-finished instruments each year to clients that include Paul McCartney, Roger Waters, John McLaughlin, and Leonard Cohen. Constance Pathy is the president of Les Grands Ballets Canadiens and a passionate believer in the transformative power of the arts. After studying international law in her native Netherlands, she studied cello and viola da gamba at McGill and began to establish herself as not only a musician, but as a leading figure in Quebec’s cultural scene. 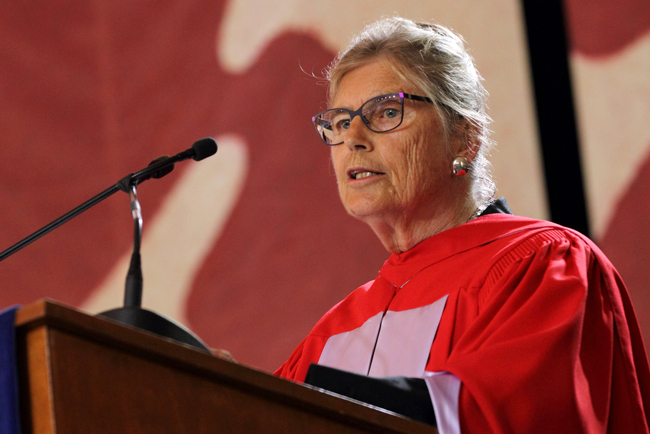 She has served on the Faculty Advisory Board of the Schulich School of Music since 1991 and is a generous supporter of the McGill International String Quartet Academy, which brings some of the world’s finest professional and student string quartets to Montreal each August. Arthur C. F. Lau was a fresh McGill graduate when he was recruited for the seven-architect team that created the master plan for Expo ‘67. He went on to establish his namesake firm, whose high-profile projects include the Standard Life Centre in Toronto, an ambitious renewal of Jackson Square in downtown Hamilton, Ontario, and urban planning projects around the world. Lau helped establish the Federation of Chinese Canadian Professionals and has served on numerous boards in Montreal. 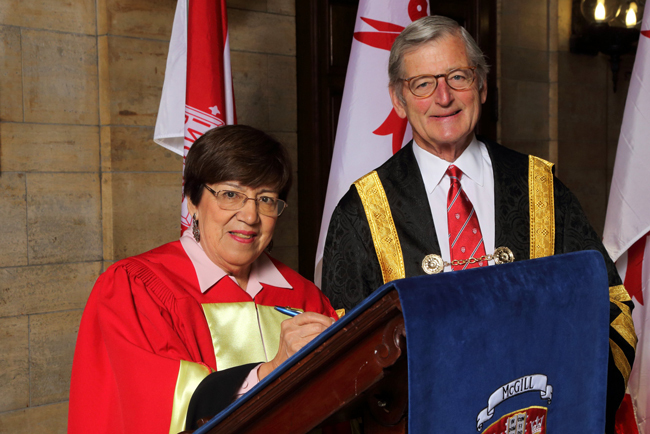 The Honourable René Dussault is a distinguished jurist and humanitarian. 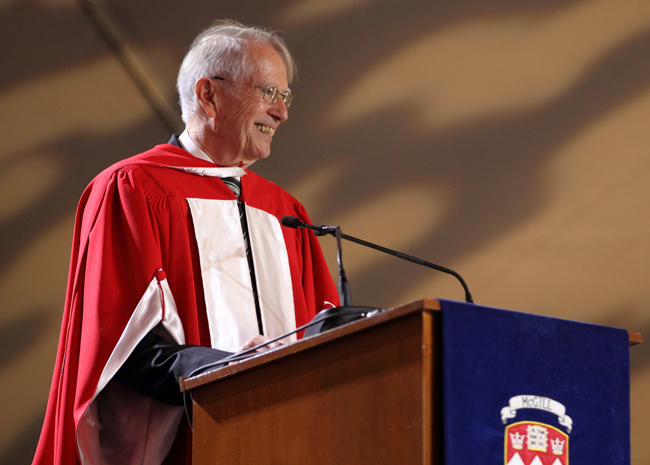 Appointed Justice of the Quebec Court of Appeal in 1989, he co-chaired the Royal Commission on Aboriginal Peoples in response to the Oka Crisis; his subsequent report was the product of thousands of testimonies given by First Nations people and other Canadians across the country. In recent years, Dussault has focused much of his energy on advocating for the importance of organ donation, and currently serves as the President of the board of directors of Transplant Québec.